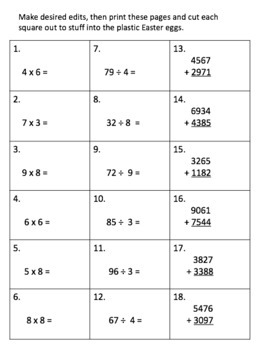 A fun and engaging way to review or practice just about any skills with your students. 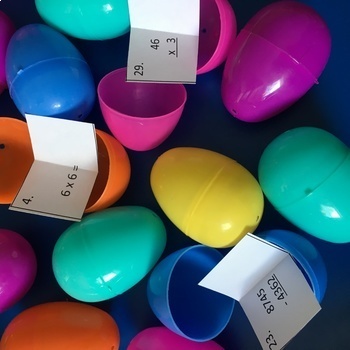 Print one recording sheet per student, and cut out and stuff plastic eggs with the question squares. 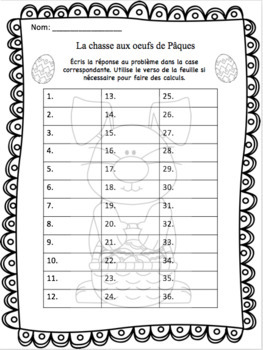 This product is originally in French for grades 3-5 math, but is editable, so you can modify it completely to meet your needs.